Remittances to HCM City in the first quarter of this year is estimated to have reached 1.15 billion USD, up 250 million USD against last month. The recovery of the local real estate market and the amended Housing Law that allows foreigners and overseas Vietnamese to own houses in Vietnam are among factors to motivate overseas Vietnamese to transfer their money here. Deputy Director of the State Bank of Vietnam’s HCM City branch Nguyen Hoang Minh said there was no leap in the remittances to HCM City in the first three months, as dollar holders were still waiting to see the consequences of the central banks recent policies before deciding on channels to invest in, Minh said. The central bank has adopted some new policies this year, including the application of the daily reference exchange rate and the reduction of dollar deposit interest to zero percent. Last year, HCM City, which is one of the top localities nationwide receiving the largest volume of remittances, received roughly 5.5 billion USD in remittances, inching up against its 5.2 billion USD of 2014. More than 70.8 percent of the remittance value flowed to production and business, while roughly 21.6 percent poured into real estate and 7 percent was for relatives. However, after a good year in 2015, several experts say they are not so confident that remittances will be stable in the upcoming months and years. According to experts, the US Federal Reserve is likely to continue implementing its roadmap to increase the interest rate on the greenback, affecting the dong-dollar exchange rate. This would make overseas Vietnamese reluctant to transfer their savings to the country, since they would receive fewer benefits from the transfers, except in cases where they are investing in projects with high returns. However, some experts have expressed a contrary opinion, saying a significant growth in remittances is likely this year. They said the forex rate between dong and dollar will likely increase by three or five percent this year, thus encouraging overseas Vietnamese to transfer more of their savings to Vietnam to enjoy the benefits of a favourable exchange rate. 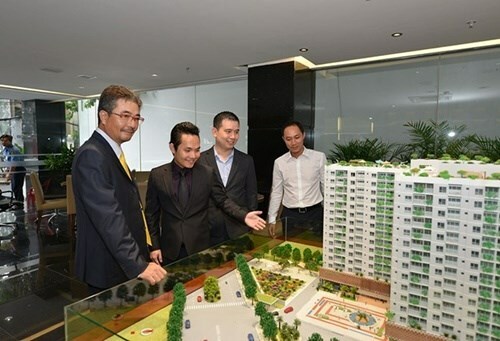 Besides this, the clear recovery of the local real estate market and the amended Housing Law that allows foreigners and overseas Vietnamese to own houses in Vietnam are also important factors likely to motivate overseas Vietnamese to transfer their money here, they said.